Shanxi Province is one of the oldest territories in the current country of China with a history leading back to before the Spring & Autumn Period (722 - 403 BC) of the Zhou Dynasty Era when it was the location of the military powerful state of Jin. The State of Jin dis-integrated into three states, starting off the Warring States Period (403 BC - 221 BC). The Warring States Period finally gave Rise to the very first Imperial Dynasty of China - the Qin Dynasty (221 BC - 206 BC), who first united all under one Government. Under the Han and Tang Dynasties already, Shanxi was a territory or Province of China. At that Time however, Shanxi Territory included a larger Surface Area than today. Todays Shanxi Province was established in Name and Practice by the Ming Dynasty, making it one of the 9 Districts in Defense of the Great Wall. 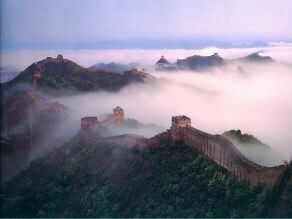 The Great Wall of China would play a major role in the History of Shanxi Province. 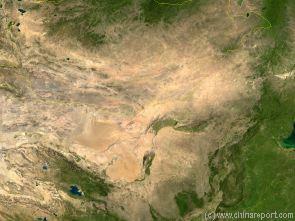 Satellite Image Map of the Gobi Desert Region. Map overviews North-West Xinjiang Autonomous Region, Mongolia, Inner Mongolia and North and North-Eastern China giving a Full Overview of the Gobi Deserts and Yellow River Basin. Map includes country borders, name + location of Cities and Villages (clearly visible). 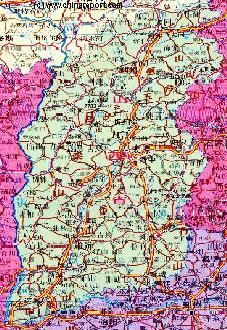 A second topographical map of Shanxi Province. Click to go to Full Map. Taiyuan City is the seat of the Central Government of and also traditionally the largest and most central city within Shanxi Province, which therefor since the beginning of railroad construction in China also functionioned as its central railway transportation hub. 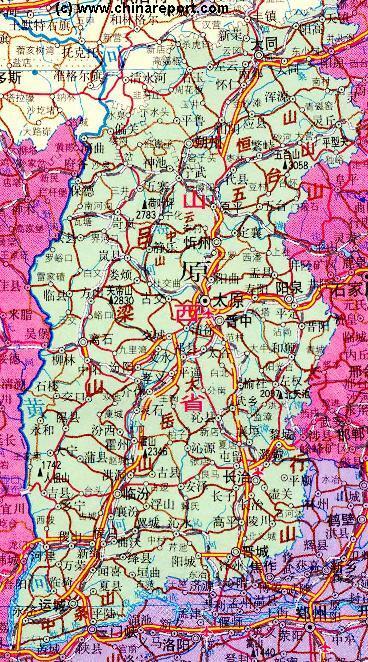 Today, TaiYuan is an administrative center lying strategically located in the center of the Province, reachable from the rough North from Datong and ShuoZhou, passing West along Heng Shan and Yunzhong Shan and through the strategic Xinzhou Pass (Xinzhou Guan) below the Inner layer of the Great Wall of China in Shanxi Province. 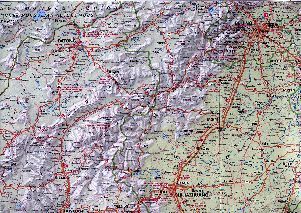 Beijing Region - North Shanxi Province Map : Datong-Beijing-ShiJiaZhuang-TaiYuan quadrangle, an overview of Beijing Municipality (in Hebei Province) and the Area to the West and South-West of Beijing. Includes Datong, North-Shanxi Province and nearby YanMenGuan Pass to Inner Mongolia (Great Wall of China), BaoDing, ShiJiaZhuang and TaiYuan Crossroads-cities. Wutai-Shan Area between Datong and Beijing clearly navigable. The resulting Datong of today is a dusty but interesting historic city, home to some ancient and original Temples and Monasteries containing relics of Wei, Han, Tang and later Dynasties. Main historic sites in the City itself are first of all the Tang Dynasty clay statues of the Huayan Monasteries and Shan Hua Monastery. Second comes the Nine Dragon Screen that remains of the former Ming Dynasty Palace and is the oldest surviving such screen in China entire. As are other Hsien Cities in the North, the City is further enclosed by its own (now dillapidated) Ming Dynasty Era City Wall. suitable for defense. There are two historical layers of the Great Wall of China in North Shanxi Province. The Outer Layer, protected by the Datong Garrison, arches North around Datong. This is the ancient pass into Inner Mongolia and into the wild areas beyond the Wall. Not much is known about this section. To the South of Datong lies the Inner Layer of the Great Wall of China in Shanxi Province. 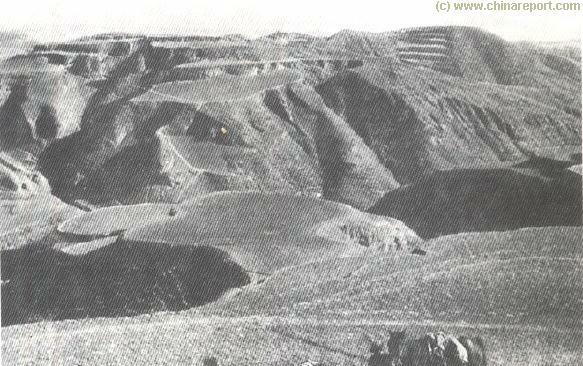 The Inner layer has four main Passes which were garrisonned and backed up by the TaiYuan Garrison to the South. Schematic Map depicting the multiple layers of the Great Wall of circling Beijing, then continuing into North Shanxi Province, passed YanMenGuan at Datong to PianGuan in the North-West Of Shanxiwhere it terminates at the Yellow River.The Great Wall continues westward through Shaanxi,Ningxia and Gansu Provinces. 100.000 troops well-equipped forces of the warlord Yen Hsi-Shan and Nationalist troops from further South under command of General Wei Li-Huang. The Battle for control of Shanxi Province raged on from September until at least the end of Februari 1938 AD and left some 30.000 dead. One of the Famous Photos of the PingXingGuan Battle taken by reporter James Bertram, author of "First Act in China" and "North China Front". Except for Agnes Smedley, Bertram was the only reporter in the area at that time, as he walked across no man`s land between three fighting parties. Japanese, KuoMinTang Nationalist and the boycotted Communist Area`s. During most of the Republic of China's period of rule over mainland China (1912-1949), Shanxi was held by warlord Yen Hsi-shan, although the arrival in the Northern Area of the communist rebels via their long march would change the situation by 1936 AD. Although nominally under the rule of the Chinese Central Government in Nanjing, Yen Hsi-shan commanded his own loyal troops and was the real power-dealer. That is, in the main cities (Hsien) of the Province. 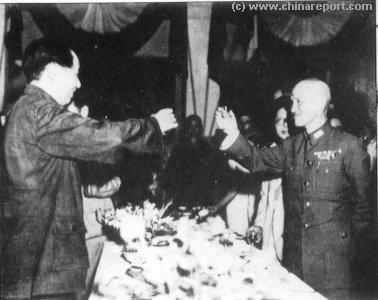 Arch-rivals Mao Zedong and Chiang Kai-Chek toasting the Japanese Surrender in August of 1945 AD. This would be the opening signal of a battle for China between the two. 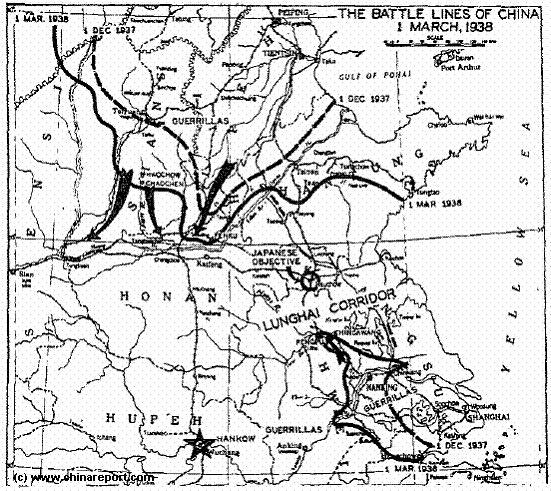 Overview Map of the Japanese Front-line and directions of Attack during the decisive Battle of TaiYuan in December 1937 to March 1938 AD. After taking Datong in fall of 1937 AD, the Japanese victory at TaiYuan ensured Japanese control of the vital railway lines needed for a further offensive West into China. The Northern attack was supposed to go through TaiYuan, then target Xi'An across the Yellow River in Shaanxi. The offensive never reached Xi'An. 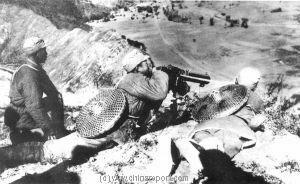 Much later, after the Japanese Surrender in August of 1945 AD, the communist forces would go on to do battle with Nationalist Armies and American Troops in Shanxi Province during the 1946 (to 1949 AD) Chinese Civil War. In 1971 a spectacular 6188 meter railway tunnel was blasted through the steep cliffs and walls of PingXingGuan pass making for a very interesting railway journey to TaiYuan. the Shanxi Countryside was in the hands of communist forces. During the Song Dynasty, throughout the mongolian Yuan Dynasty (1271 AD - 1368 AD) and in the early Ming Dynasty Shanxi Province became a destitude place, an overcrowded province which had very few resources. Plagued by droughts, floods and infertility of the land Shanxi People perished from poverty or traveled across China in search of a livelyhood. Through a long and hard struggle, centuries on barren roads and by the grace of the strategic location of their Province between the Chinese Heartland and the Immense Defenses of the Great Wall of China, Shanxi People became wandering traders and the transporters of the empire. On their backs they caried grain from the Chinese Heartland (Henan and Shandong Province + beyond) to the 1.2 million defenders in the 9 fortress districts on the Great Wall of China, returning from the outer borders with much needed goods and salt from the Pond of Xiezhou in Shanxi Province, the salt as the payments of the Empire for their labors. Thus the first basis of Shanxi's transportation monopoly and later economic success was layed. The Victory of the Ming Dynasty over the Northern Tribes brought stability to the Provinces leading once more to prosperity but also to a new population boom. Although temporarily at Peace behind a strenthening Great Wall of China, Natural Disasters among which an 11 year drought brought new stresses to Shanxi Citizens. Once more they were driven on the path to other lands and trading prosperity.In this case the new lands lay beyond the Great Wall and beyond the West Pass (on the Great Wall in Shanxi Province). Once more the strategic location of the barren province became the key to survival and eventual prosperity. When peace and stability ruled over the Inner Relations inside the Empire and Good Relations set in with the Northern Tribes, it were the Shanxi Merchant Societies that benefited. Now the new markets of the lands beyond the Great Wall became the target and although these were rough and mainly unexplored new territories, the Shanxi Trading Families, through hard work and many challenges managed to set up new trade routes and towns, becoming rich in the process. Not surprisingly, due to its strategic position, Datong soon became a Garrison City guarding the vital Pass to (Inner) Mongolia on the Outer layer of the Great Wall of China. Throughout history Datong played a crucial role in China's Northern Defenses against invading Mongol (and other) Tribes. The City was attacked by large armies on several occasions and raised to the ground at least 2 times. In the Ming Dynasty the City received its own City Wall and once more became home to an Imperial Palace. It also prospered as a border trading town during peaceful times and later would go on to be one of the two spring boards for the Chinese Army and following Merchants into Inner Mongolia and beyond. The Qing Dynasty Era would become the Golden Age of Shanxi Province and the small City of Pingyao in particular. Already rich and nationally powerful traders the 1727 Treaty of Cakurtu, opening up trade with Russia provided another Golden Opportunity for the Shanxi Traders. 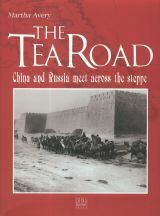 The new Tea Trade with Russia, soon dubbed the Tea Road was soon monopolized by the Shanxi Traders, bringing a staggering 19% of China's imports and exports under their control. The Last and possibly most impressive economic and culutural contribution delivered by the Shanxi Merchants was the Invention and Establishment of the First National Drafts Bank, by Shanxi Trader Wei Lutai from Pingyao in Shanxi. 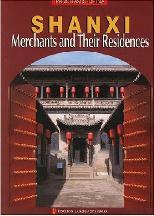 (Read More about the Shanxi Merchants in our Introduction to Pingyao at PingYao Report). While the Kangxi Emperor and his successors had been busy building and extending their Empire to include most of current day Mongolia (Inner- and Outer-) and meeting the other rising Empire in Asia, the Russians who by then had reached all the way to the Sea of Japan, another type of Empire found its first foothold among the Chinese People. As most Chinese history buffs will know, Matteo Ricci was the first Christian Missionary to reach Beijing, and eventually live there. Matteo Ricci lived in Beijing between 1600 AD and the year of his death 1610 during which time he became on confident of the Manchu Court and even advisor to the Wanli Emperor on astrological matters. More importantly, having founded the first ever Christian Parish in Beijing, he and his close confidents made many arduous efforts to convert members of the local Chinese citizenry as well as more elite indivuals. Thanks to the efforts of this small group working from their base in Beijing it is recorded that as early as the beginning of the 17th century some knowledge of the Christian faith had spread into Shanxi Province. It is noted that especially in the provincial Capital, by tradition and force of nature the main transit and trading point in the province, a Catholic Church had been built as early as the year 1705 AD. At the time, several 1000 people are recorded to have converted to the Christian faith. Although this seemed like a promising start, as father Ricci had already found, the true task of winning the Chinese into accepting Christianity as their faith and culture would be difficult. Soon after the initial successes, Christianity as a whole would be banned by the Emperor and over the following two centuries there would be many confrontations with authorities as well as the local populace. After Christianity had been banned, an Imperial Task Force set to work cleaning the Christians and their faith out of Shanxi Province. Soon after 1705 AD, the Church in Taiyuan was burned to the ground, its Chinese converts, as well as reportedly a gross number of recalcitrant citizens were put to death in the most gruesome ways. Naturally, as a result of the death of amy and ongoing social and Government suppression, the number of registered and active converts dropped dramatically and with missionaries exiled, the number of available Missionary Priests was minimal throughout the 17th and 18th century. (For details see: History of the (Manchu) Qing Dynasty∢,∢Kangxi Emperor of the Qing Dynasty∢ and/or ∢History of Christianity in China∢. Nevertheless, regardless of State opposition and interference, as well as the danger from outraged xenofobic mobs, Christianity hung on in north China especially in Shanxi Province. By the time of the coming of what may be deemed the ∢Great Crisis∢ of the Boxer Rebellion, an anti-Foreign and anti-Christian movement that swept the Chinese Provinces around the years 1899/1900 AD culminating into a confrontation and war with all western Colonial Powers, the Catholic Church recorded well over 17 thousand Chinese converts in Shanxi Province. There were however only some 19 Foreign Priest in the entire province in 1899 and some 21 ordianed Chinese Priests. Soon after the highpoint recorded in 1899, the tide would again turn against the Christians in the Province, and in a series of massacres most Chinese Christians were murdered by their village comrades. Although a few estern missionaries suffered a similar fate, most were merely driven out, escaping by any means available to Taiyuan and down the railway to Beijing or Tianjin. Although a Famous Era in Chinese History, not that much can be told of the History of Shanxi during the Wei Dynasty. Under leadership of the Tuoba Tribe, which descended from Northern Territories as far as Mongolia, current day Shanxi Province and a large Area of North China were united under the Wei Dynasty (386 AD- 534 AD). The Wei chose Datong in North Shanxi Province as their first Capital. Hence, much of the early history of Shanxi Province relates with the City of Datong and the World Cultural Heritage Site of Cloud Ridge 1000 Buddha Caves at nearby Yungang Village. Although today mainly known as a heavy industrial center,with a history of over 2000 years the City of Datong ranks in the list of China's 24 leading Cultural & Historic Cities. Once the Capital City of China during the (Northern) Wei Dynasty, there-after the earliest Datong was a frontier trading post on the Silk Road in a strategic border area between Han Chinese Culture from China's Central Plains and the Nomadic Cultures of the Northern Highlands and Deserts. During these early times, in the 4Th Century AD, the Wei Dynasty started construction on the Yungang Cave Statues, whcih are now a world heritage memory and living proof of the progression of Buddhism into China along the Ancient Silk Road. By accepting Buddhism as its National Faith the Wei Dynasty helped cement the introduction of Buddhism into Chinese Culture. In the Qing Dynasty Era, the Shanxi Merchants as they were then known grew to be the most powerful economic clique in the Empire, controlling through transport most interior trade routes and therefor the economy of the entire Nation. In the wake of the Early Ching Dynasties military successes against the Northern Tribes in area's beyond the Great Wall, the Shanxi Businessmen followed and moved into new Markets. Due to the success of Shanxi Traders and their influence, Shanxi was extended northwards beyond the Great Wall to include parts of Inner Mongolia, including trading villages that are now the cities of BaoTou and Hohhot, the latter a city established by Chinese Shanxi Traders. The Authority of Shanxi Province overlapped with the jurisdiction of the Eight Banners and the Guihua Tümed banner in Inner Mongolia. By the Time of the Qianlong Emperor of the Qing Dynasty the Shanxi Merchants and their various monopolies had made Shanxi Province the wealthiest province of the prospering nation, with more cash silver teals than the Imperial Coffers. Shanxi Businessmen controlled trading as far as Dunhuang in far Western Gansu Province, Xinjiang and well into area's now part of the Capital of the Republic of Mongolia. In the wake of their trade Chinese Han Culture, new technologies and Shanxi's Influence followed..
From East to West, the Passes on the Inner Layer of the Great Wall of China in Shanxi are: PingXingGuan, YanMenGuan, Ningwu Guan and PianGuan. Of these the most visited pass of the Great Wall of China in Shanxi Province lies South-west of Datong at YanMenGuan. The next visited site is the PingXing Pass famous from the anti-japanese Battle. Here, near Hunyuan, on the road to Wu Tai Shan lies a narrow pass lies between Mount Hengshan and the continuing TaiHang Range to the South- and West, in an impressive gorge. Original renmants of the Gates and two fortresses on the Wall can be visited. 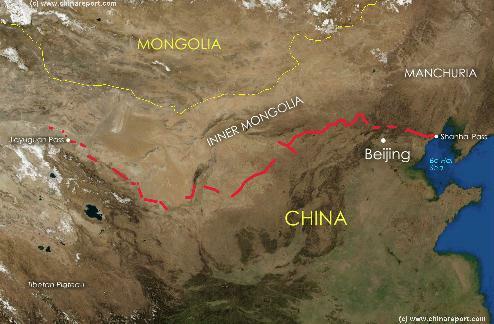 Other sites include the Pass at PianGuan in the North-West, where the outer layer of the Great Wall is interrupted by the Great Yellow River. Ningwu Guan lies in between. After their arrival in the North in 1936 AD, the communist, who had their headquarters in Yan'an, Shaanxi, immediatly started raising peasant militia`s in the Shanxi countryside, and through a clear political program quickly won the hearts and minds of the local villagers, becoming a new player in the Province. Yen Hsi-Shan was a clever Man. Ordered to attack the communist armies on several occassions, by the treacherous Chiang Kai Chek, Yen Hsi-Shan failed dismally in several half-hearted attempts to root them out. Flocks of his unhappy soldiers deserted and joined the communist army instead. Always practical and mainly concerned for the well-being of his own Territory, Yen Hsi-Shan quickly struck a deal with the communist, basicly agreeing to tolerate them in his territory and cooperate with them covertly, where possible. Regardless of the wishes of the Central Government run by General Chiang, the Province of Shanxi had its own political arrangements. By September of the next year, 1937 AD, China was under full-scale attack from Japan, who would send an army into the Province to take over by 1938 AD. The country-side of Shanxi Province, however would remain mostly under control of communist guerilla's harrassing the Japanese Troups. The famed Great Wall of China leading away into the distance along mountain-ridges of Hebei Province near Beijing.